Home - Andy's Threats - Andy Esquivel Finally gets a job…sort of. Andy Esquivel Finally gets a job…sort of. Sixty four (64) hours of community service to be exact! My hunch is that Andy isn’t moving anywhere and that his please to the court are just a stalling tactic to get out of doing any real work. Andy can’t picture himself picking up trash by the roadside in a bright orange vest and hard hat any more than we can picture him as CEO of a multi-million dollar tech start-up. The mere thought of doing manual labor terrifies Andy – probably more than jail does. We’ll have to see how this plays out, but my hunch is we’ll have another child support case update for you here in a month and that it will read something like this – “Colorado judge loses patience with Andy Esquivel and sentences him to 30 days in jail for failing to comply with an order to begin community service immediately. Then again, Andy might actually be dumb enough to leave Colorado in the hopes of avoiding these child support charges altogether. What he doesn’t realize is that Utah has even stricter child support laws that Colorado does and he already owes over $20,000 in back support in this state before he arrives (more will be added for every month eh lives here). I think Idaho would be a better choice for Andy because he doesn’t have a record there. 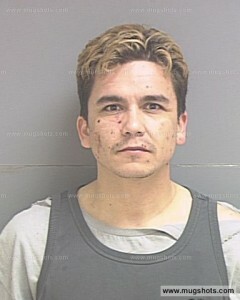 Here in Utah the police are all to familiar with Mr. Esquivel and they’re not likely to give him a pass while he unpacks his moving van. I never seen trash pic up trash before.